Globalisation, migration and technological progress have brought about major changes in society, both nationally and internationally. These developments have given the society new challenges in the field of information technology, governance and security. The Hague is pre-eminently the international city of Peace, Justice and Security. That is why The Hague University of Applied Sciences (THUAS) has chosen 'Good Governance for a Safe World' as one of its research-platforms. THUAS aims to further shape its role as a reliable knowledge partner on this subject, which is in the middle of an international and dynamic environment, through both applied research and events prepared by lecturers, teachers, students and external partners. In collaboration with various partners in the region, such as the The Hague Security Delta, the The Hague Academic Coalition, the Institute for Global Justice and UPEACE, a stable and stimulating learning and working environment can be provided to a diverse student population. other knowledge and research institutions. By working together THUAS can further shape its role as reliable knowledge partner and have lectors, lecturers and students coming up with solutions for social issues and problems. 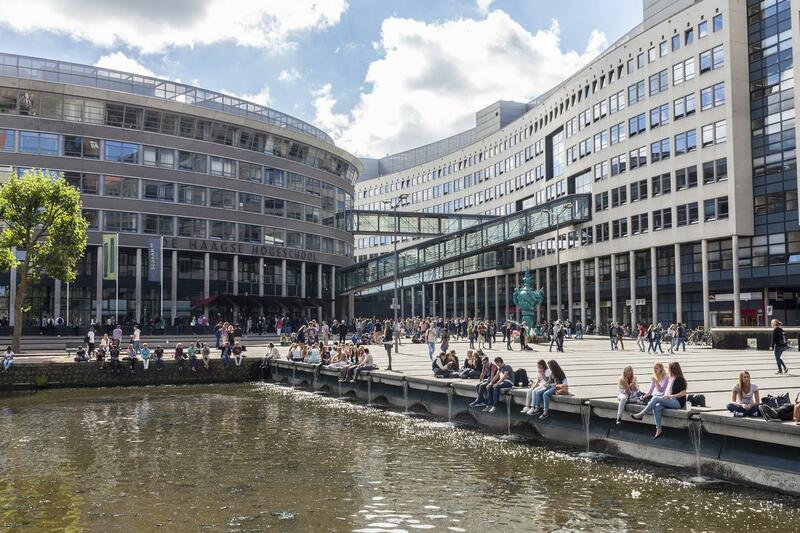 THUAS is the only college-institution in The Netherlands offering a bachelor which is entirely focused on Cyber Security and a research group ‘Cyber ​​Security & Safety’. THUAS is one of the founders of the Cyber ​​Security Academy, which offers an ‘Executive Master Cyber ​​Security and in cooperation with whom a ‘Master Cyber Security Professional’ is currently set up. THUAS forms a part of the large IT industry of the The Hague region and participates in the The Hague Security Delta. ‘Good Governance for a Safe World' as one of its research-platforms. THUAS links perfectly with The Hague as the international city of peace, justice and security. the Centre of Expertise Cyber Security with which THUAS gives directly further effect to the college strategies on global citizenship and college of network. The Hague University of Applied Sciences, Leiden University and Delft University of Technology and have combined their knowledge and expertise in education for professionals in this field in the Cyber Security Academy (CSA) in The Hague. Scholars and lecturers at the CSA together with experts from private and public sectors translate Cyber Security related issues into a varied range of multidisciplinary learning tracks for highly educated professionals. The CSA initiates and stimulates the development and supervises the implementation of innovative Master’s degree programmes, several shorter courses, master-classes and tailored tracks in the field of Cyber Security. See for more information on the CSA https://csacademy.nl/en/ or contact Mireille Snels, programme manager of CSA, via [email protected].